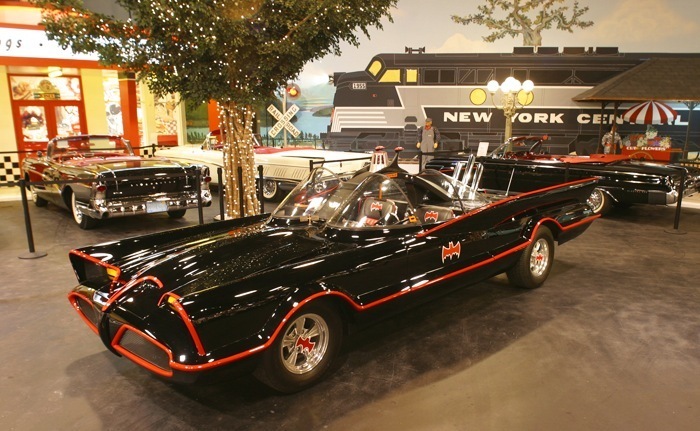 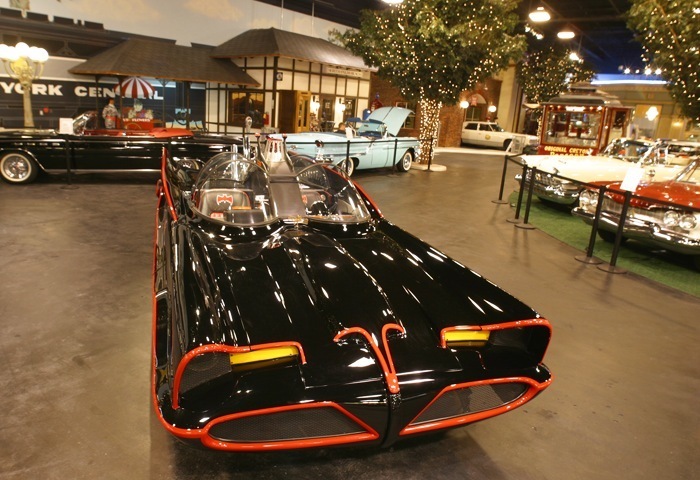 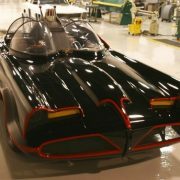 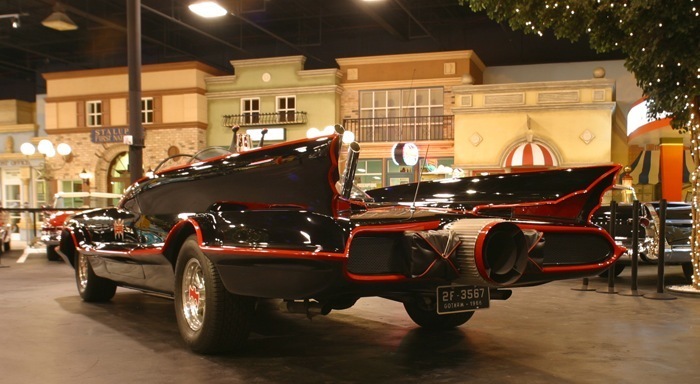 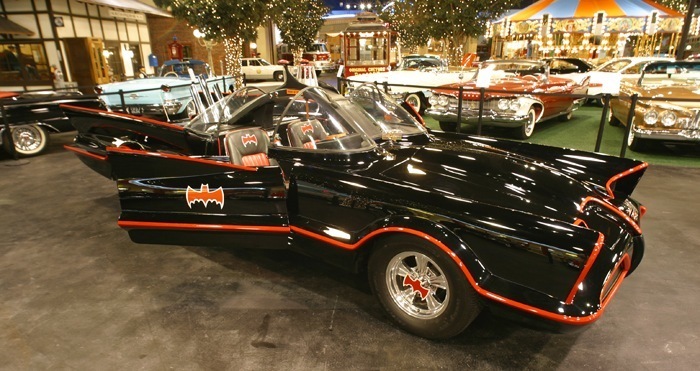 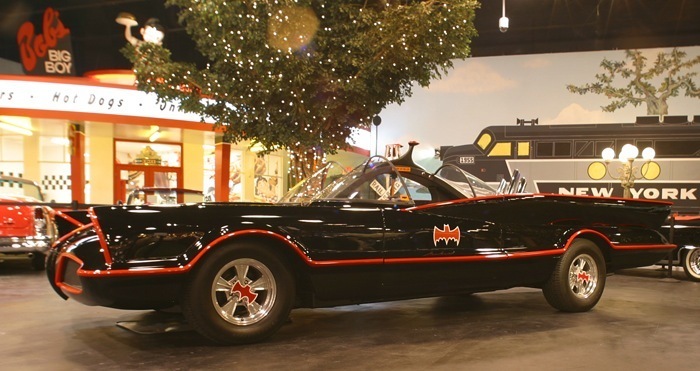 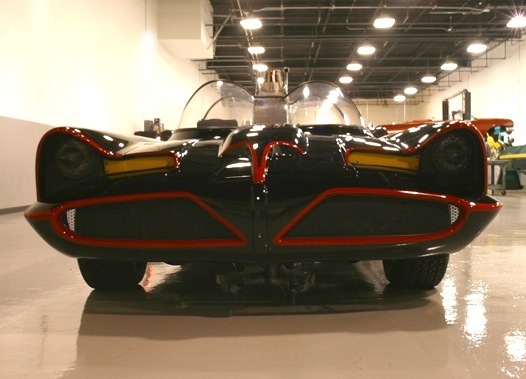 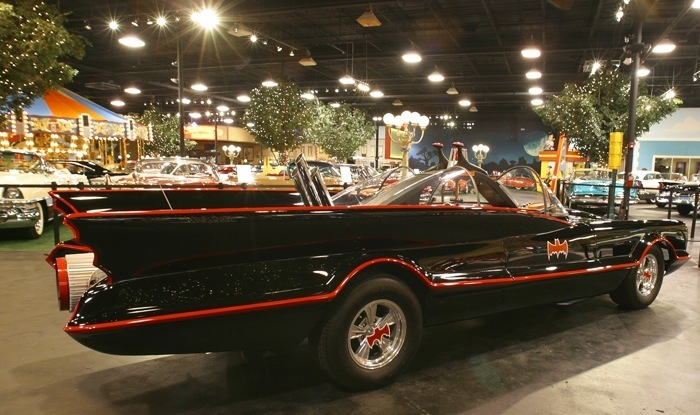 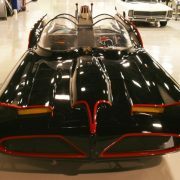 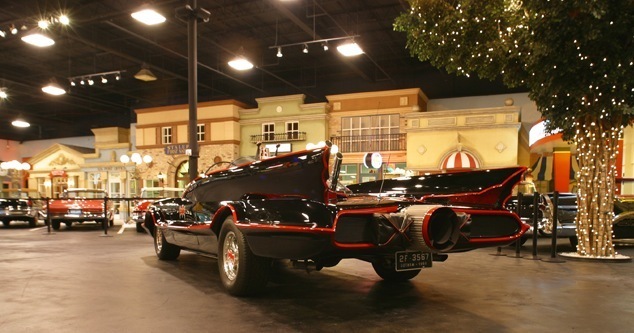 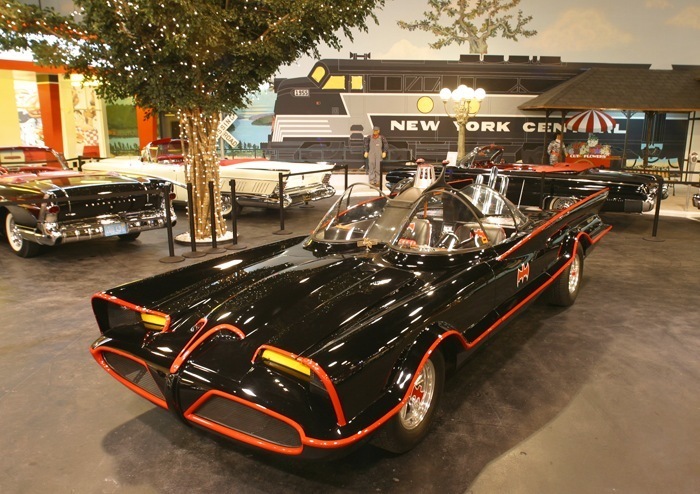 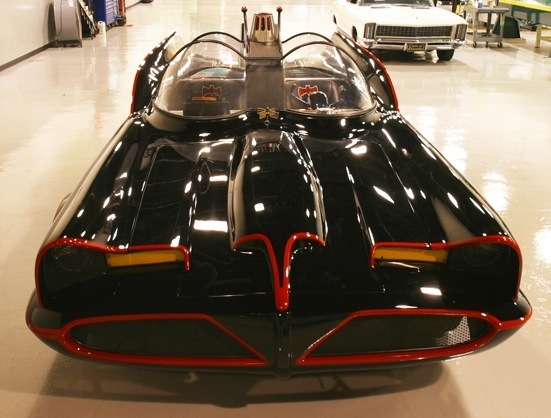 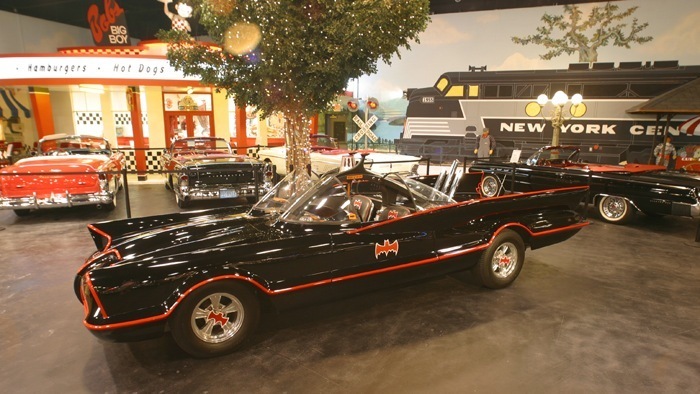 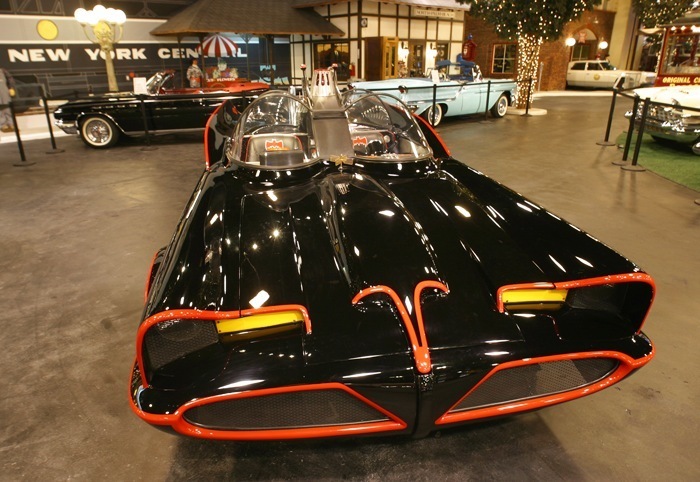 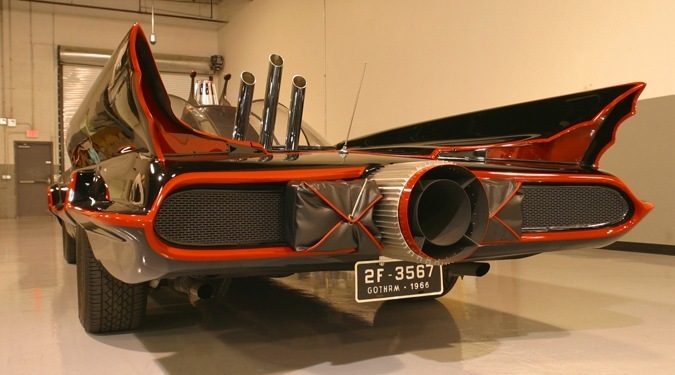 Batmobile – The black, atomic powered automobile with dual canopy and red and white pinstripes seen on the fantasy crime drama BATMAN/ABC/1966-68. 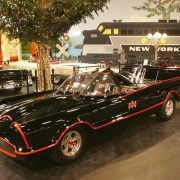 Millionaire Bruce Wayne (Adam West), a.k.a. 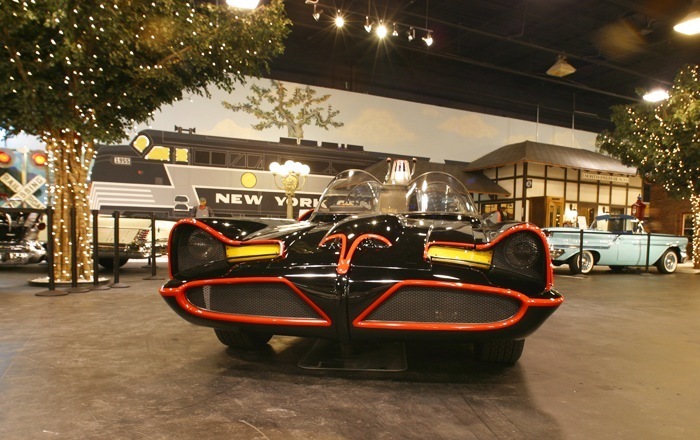 the caped crusader “Batman,” used this sleek transport to race through the streets of Gotham City in pursuit of such evil-doers as the Joker, Riddler and Penguin. 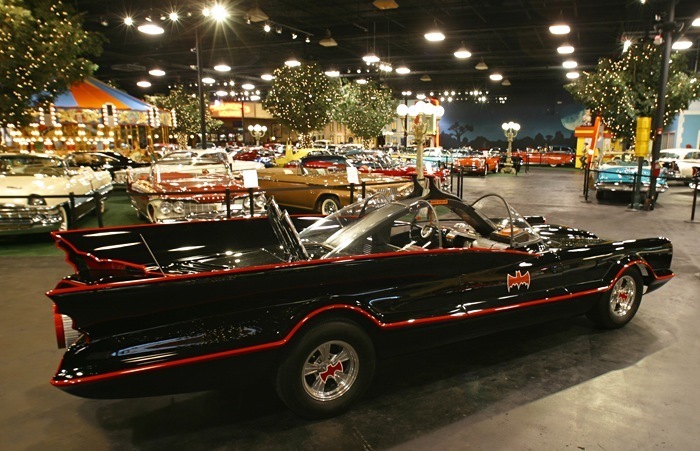 The Batmobile was stored in the secret caves beneath the stately living quarters of Wayne Manor. 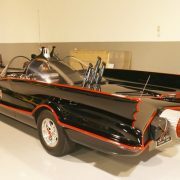 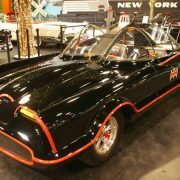 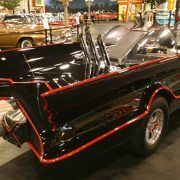 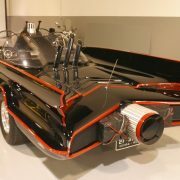 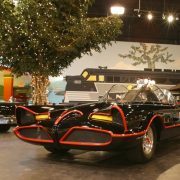 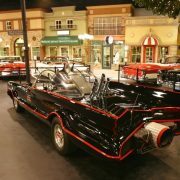 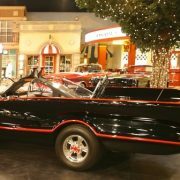 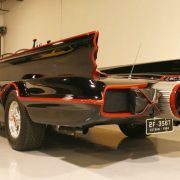 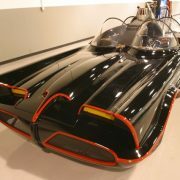 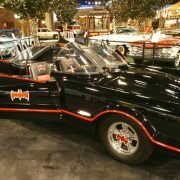 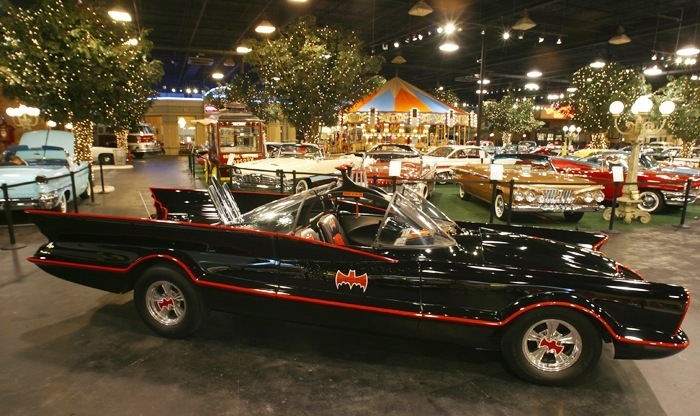 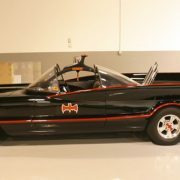 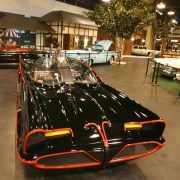 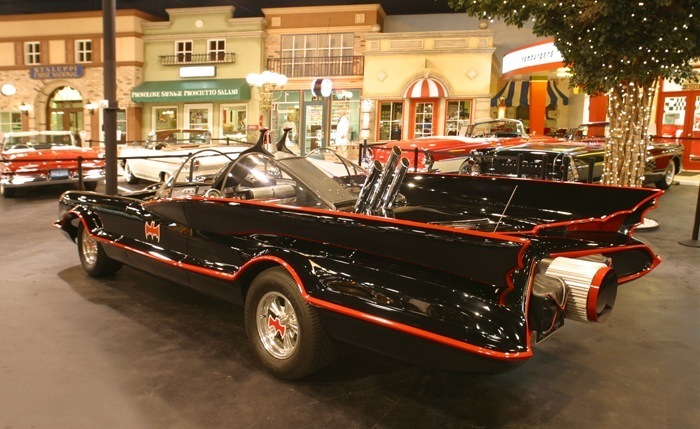 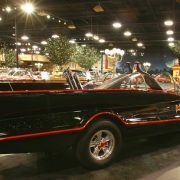 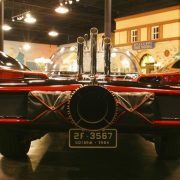 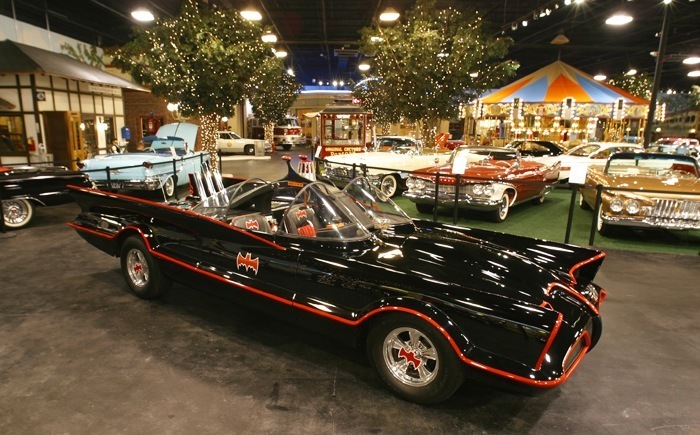 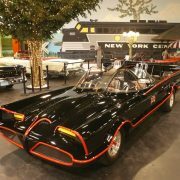 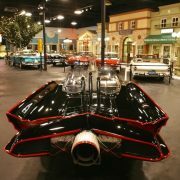 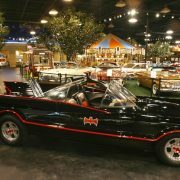 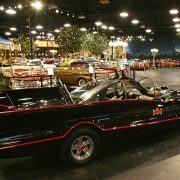 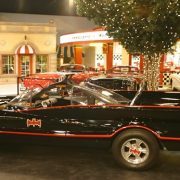 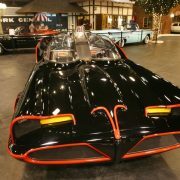 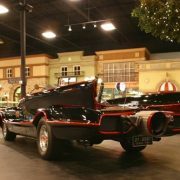 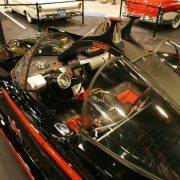 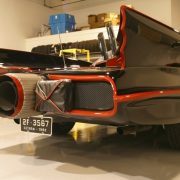 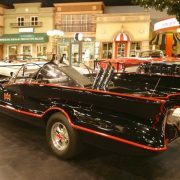 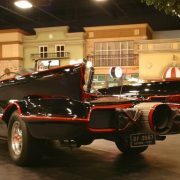 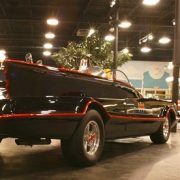 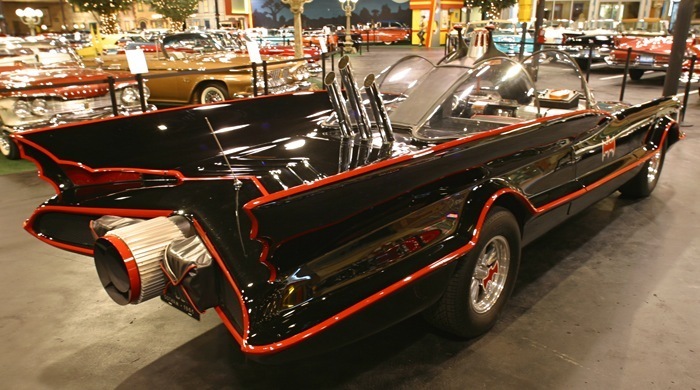 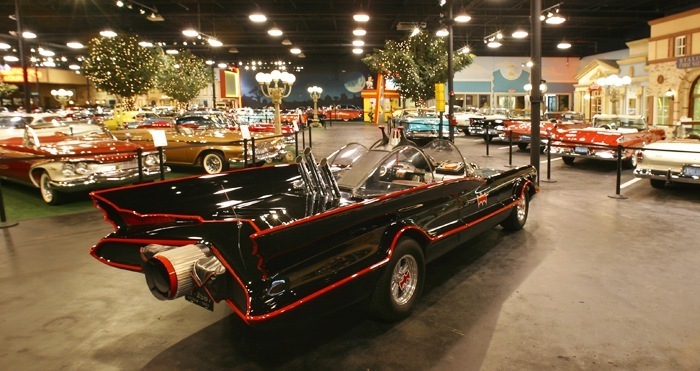 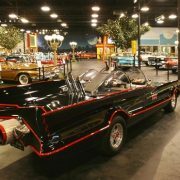 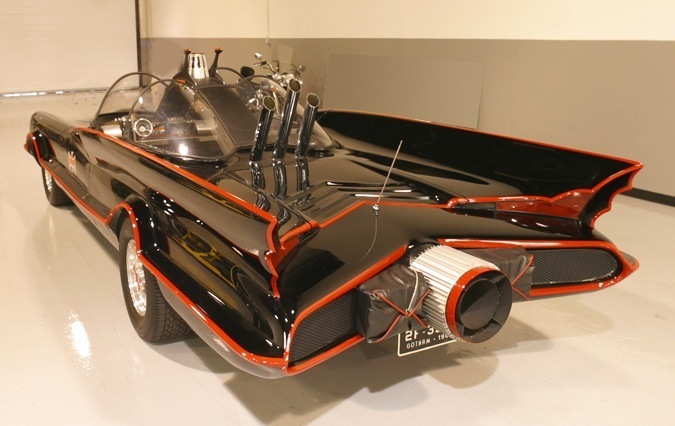 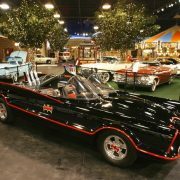 The original Batmobile was actually a customized Ford Lincoln Futura, a unique experimental car designed by William Schmidt and built in Italy by Ghia in 1955. 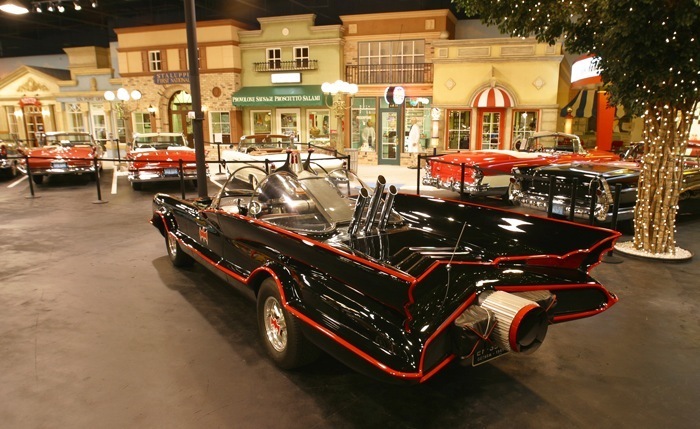 The car appeared in the motion picture It Started With A Kiss (1959). 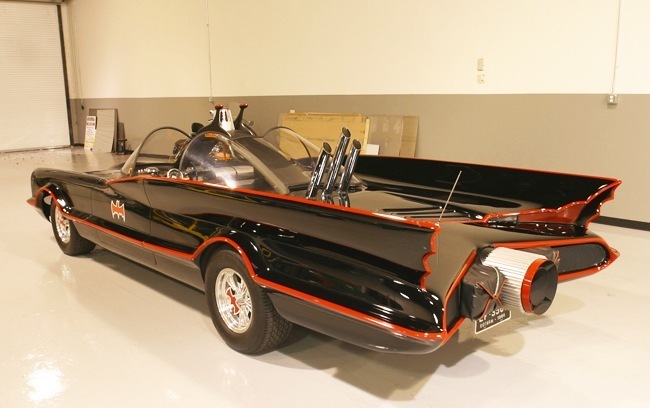 When production schedule for the BATMAN series was moved up, Dean Jeffries the person originally chosen to design the Batmobile was replaced by custom car-expert George Barris (a.k.a. 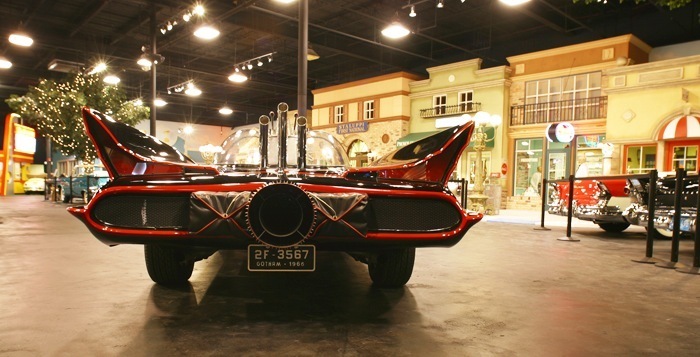 “The King of the Kustomizers”). 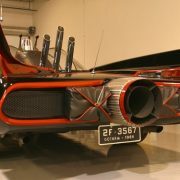 Having only three weeks to build the car, Barris chose the experimental Ford chassis because it already had a double bubble canopy. 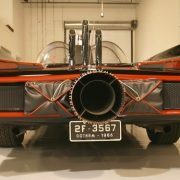 Extending the drive train eleven inches Barris sculpted a 23-foot aerodynamic hand-formed steel body over the Futura chassis with front-end twin nostril scoops and an impressive jet-styled turbine engine exhaust nozzle. 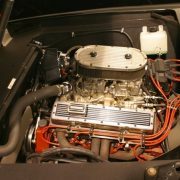 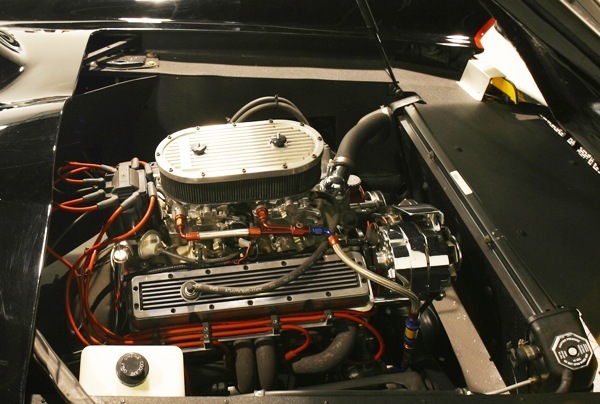 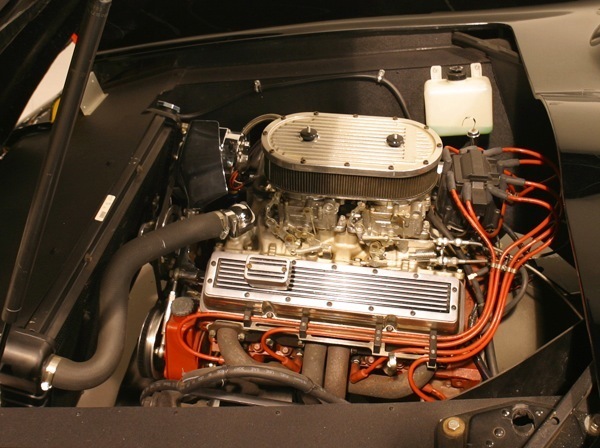 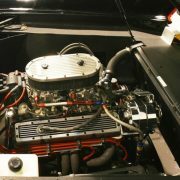 He then mounted a moon-equipped 429 racing Ford engine, with dual Granitelli Paxton turbo chargers with nitro oxide thrust control and a hydro-trans mounted into a locked posi-traction rear end. 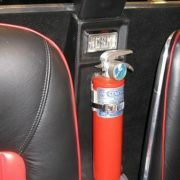 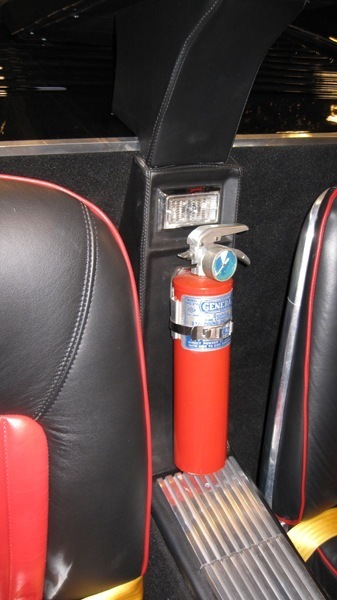 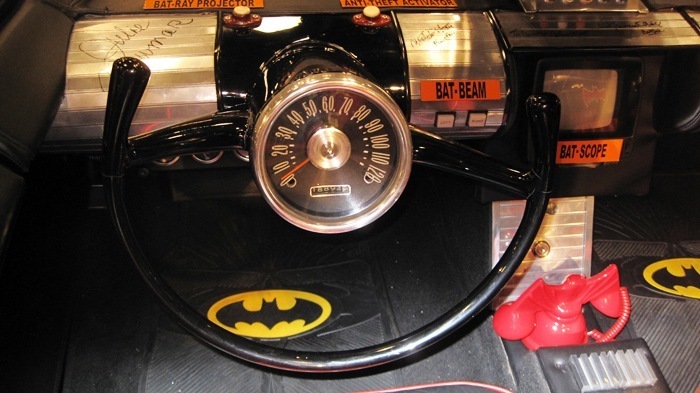 The interior contained flashing lights, Batphones, antitheft devices, radios, a Batscope, escape tools, a Detect-a-scope, laser gun controls and a remote TV camera with display screen. 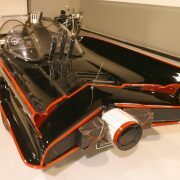 The finished product weighed 5,500 pounds and cost $30,000. 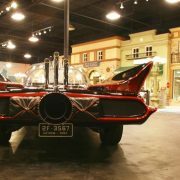 In contrast to its atomic-powered billing, (the atomic pile in the Batcave powered the Batmobile), the Batmobile’s ran on gasoline. 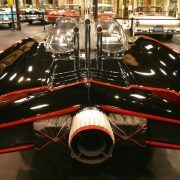 The car’s real top speed was 40 mph. 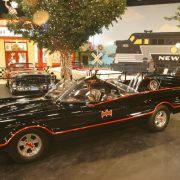 The film cameras undercranked so the car appeared to be going 80 mph. 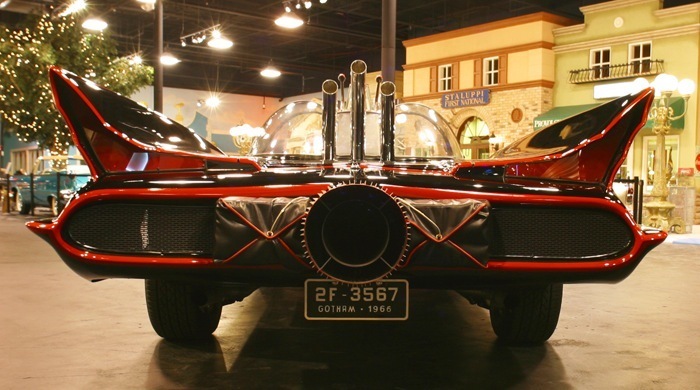 The tire tread design on the Batmobile resembled row after row of “Peace” symbols, and each wheel rim was adorned with a bat silhouette. 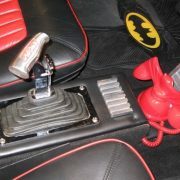 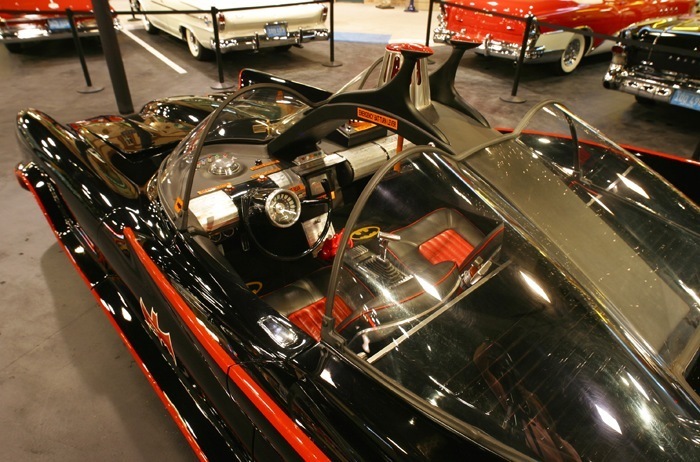 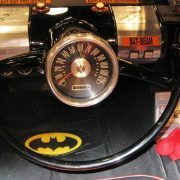 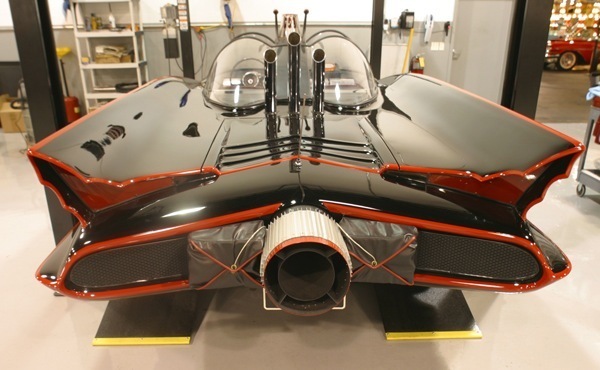 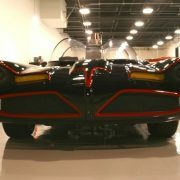 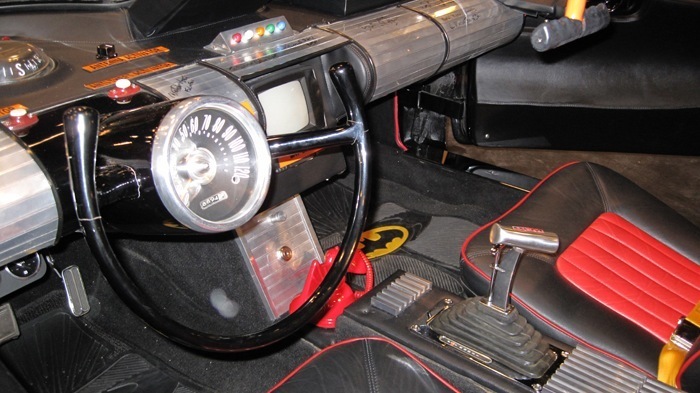 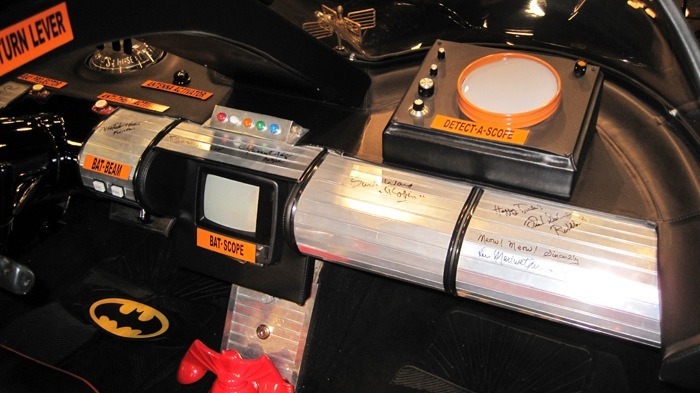 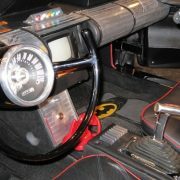 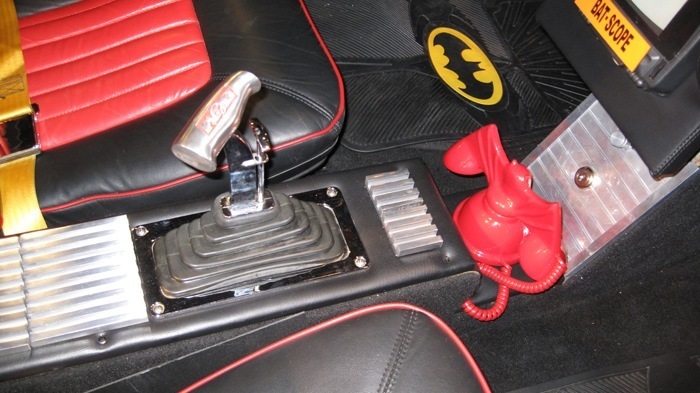 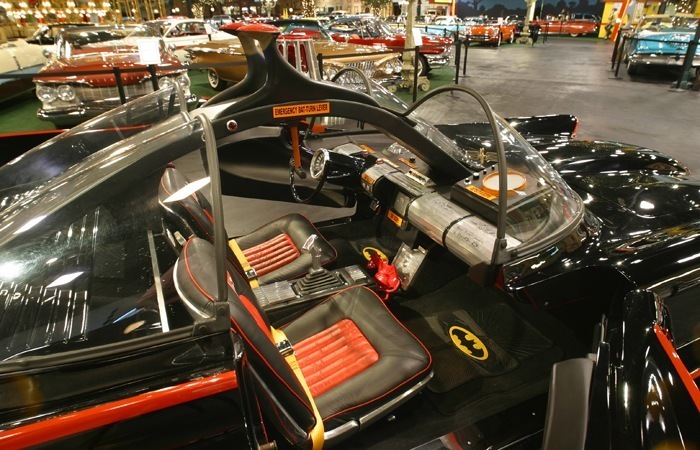 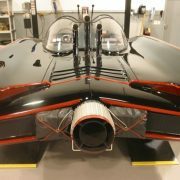 Additional “Bat” equipment included the Bat Laser, the Batram, the Batmobile Mobile Crime Computer, Remote Control Ejector Seat Button, Bulletproof Windshield, Parachutes for slowing down at high speeds (with a parachute pick-up service), and a Batmobile Tracking Map. 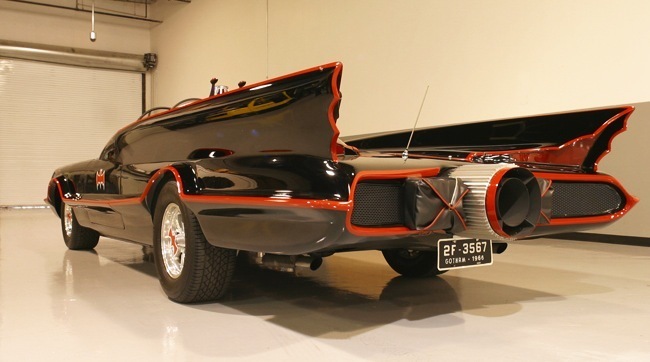 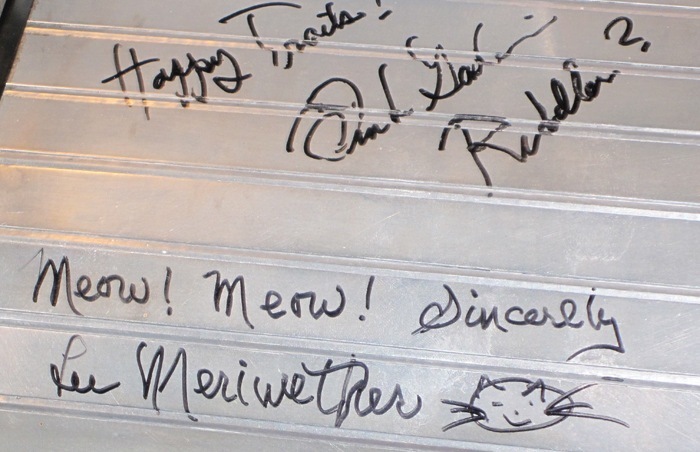 The four different license plate numbers used on the series were: 2F-3567, TP-6597, BAT-1, and 2EF-456. 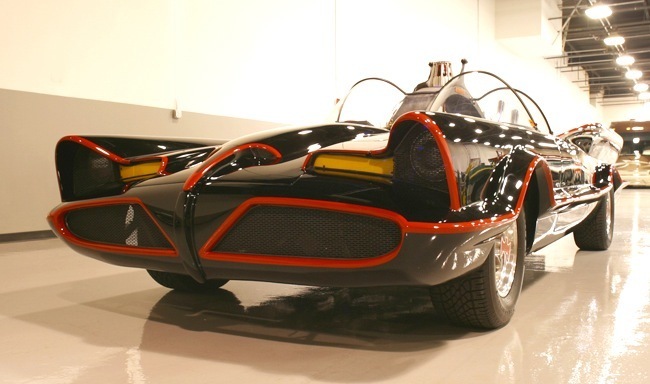 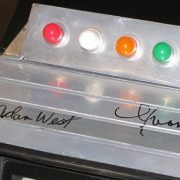 When trouble called, Batman said to Robin (Burt Ward), his crimefighting sidekick…”To the Batmobile.” The Batmobile exited the Batcave through the emergency Bat-tunnel on Highway One or the Batcave Subterranean Blue Grotto Exit (actually Bronson Caverns located in Hollywood Hills, California).The Batmobiles built for the series were never bought by ABC but became the possession of their creator, George Barris who rented them out around the country. 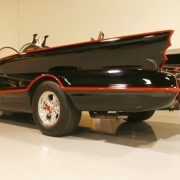 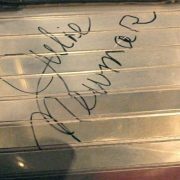 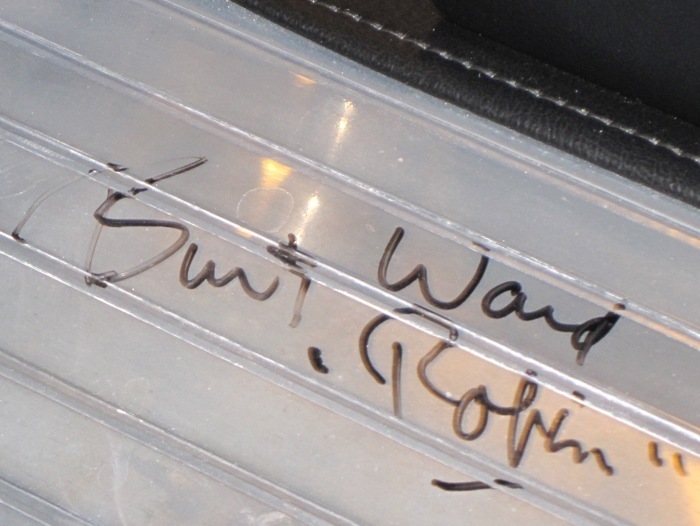 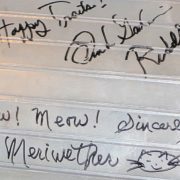 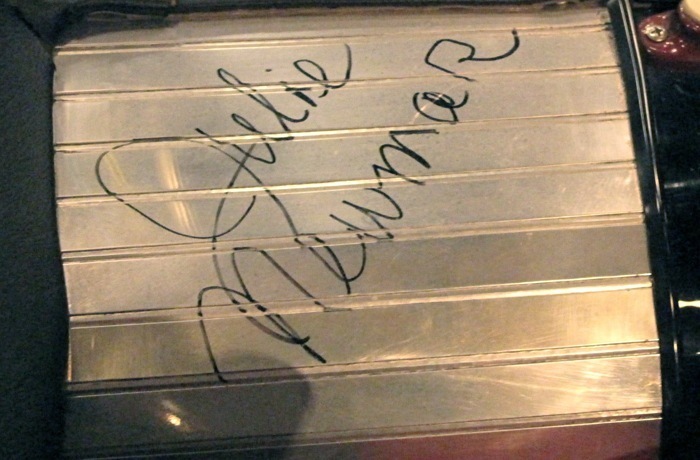 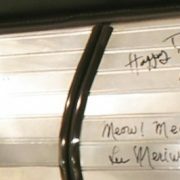 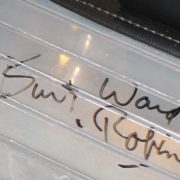 The first and second car are still owned by George Barris. 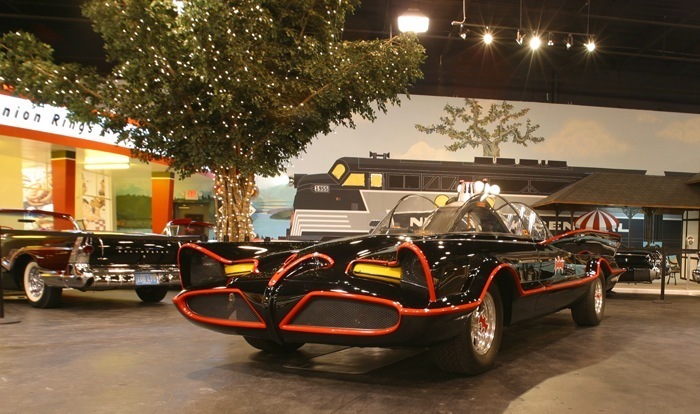 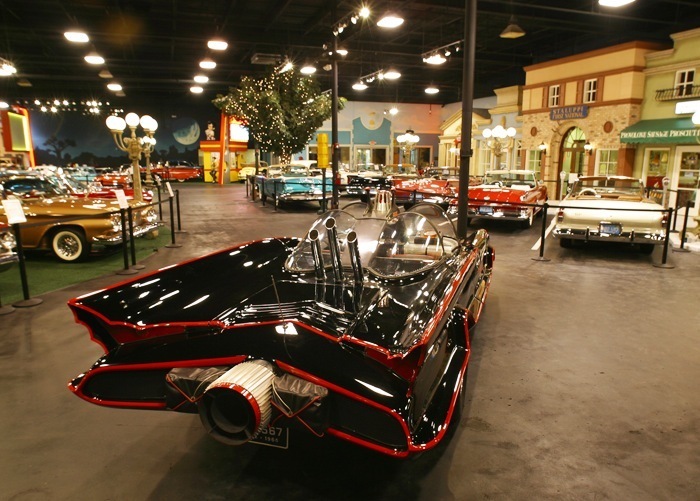 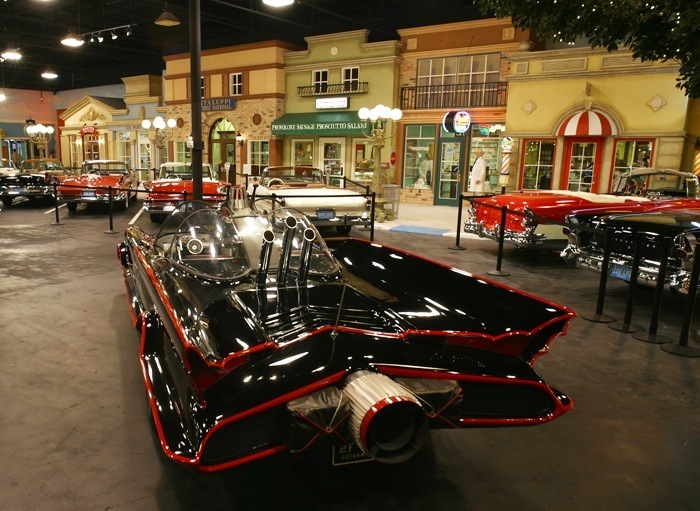 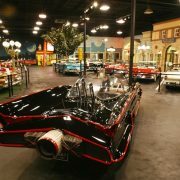 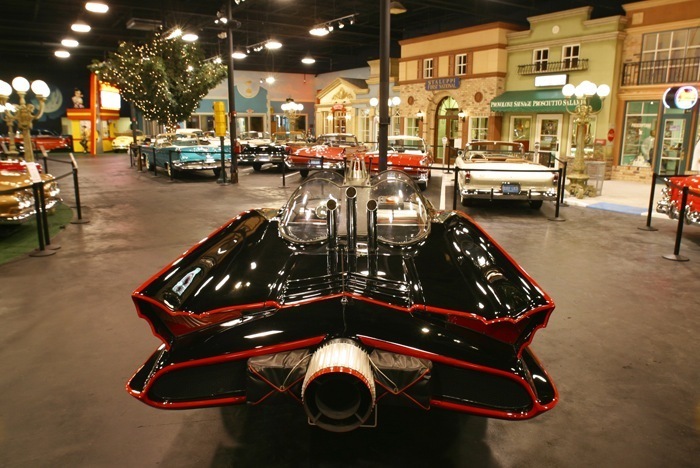 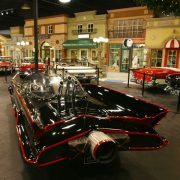 The third car is on exhibit in a Gatlinburg, Tennessee museum (along with the Batcycle). 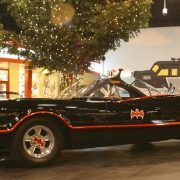 The fourth (with black wallpaper like flocking covering its body) was purchased in 1983 by a private collector from New Jersey for $100,000 and the fifth (made for the feature Batman movie) was bought for $185,000 as a birthday present for a woman’s husband. 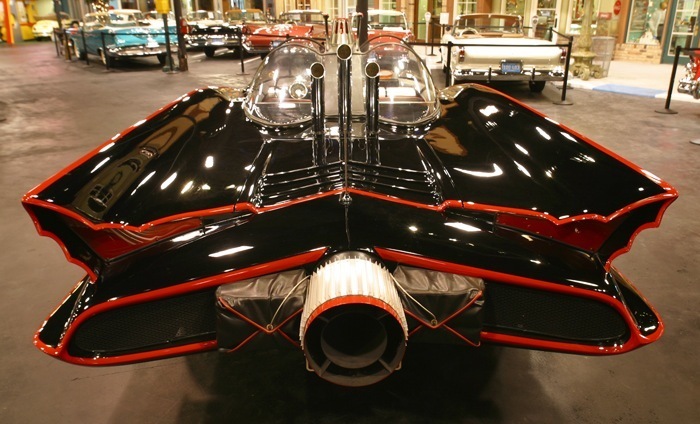 Batmobiles number two and three were constructed of fiberglass for easier maneuverability and stopping. 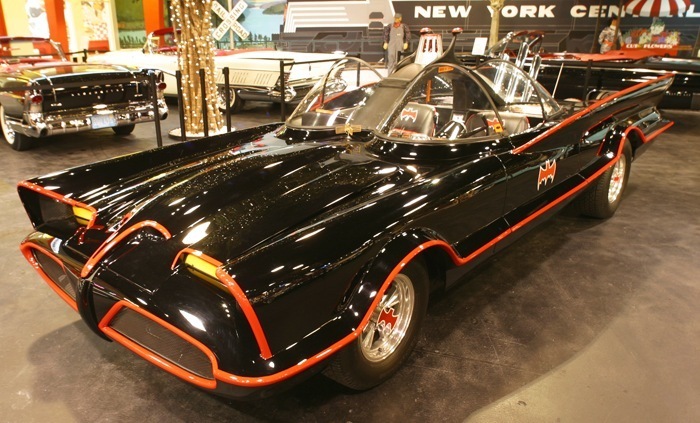 Only the original Batmobile was built on a Futura chassis. 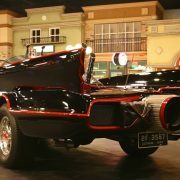 Cars two through five were constructed from smaller cars whose chassis needed to be lengthened to match the original size of the first car. 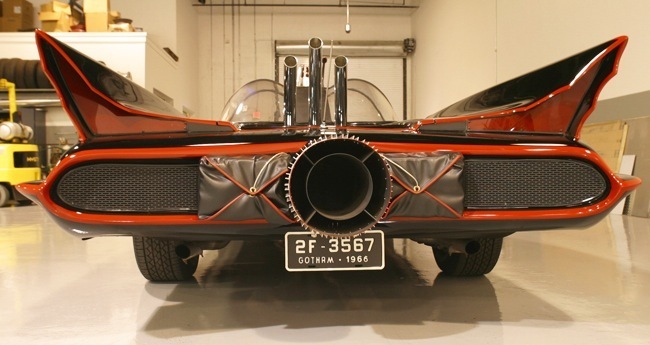 The most powerful of the cars was number three. 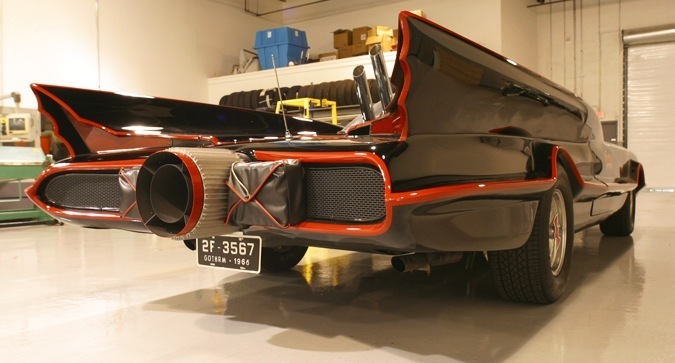 It had a drag race engine purring beneath its Bathood. 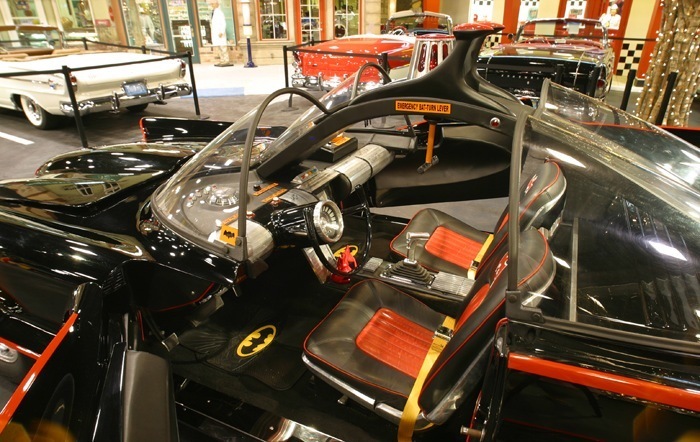 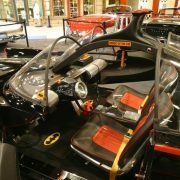 At one time, some 25 different Batmobile replicas in varying sizes (plastic, wood, etc.) 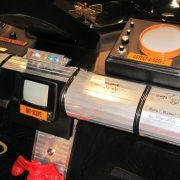 were available for purchase. 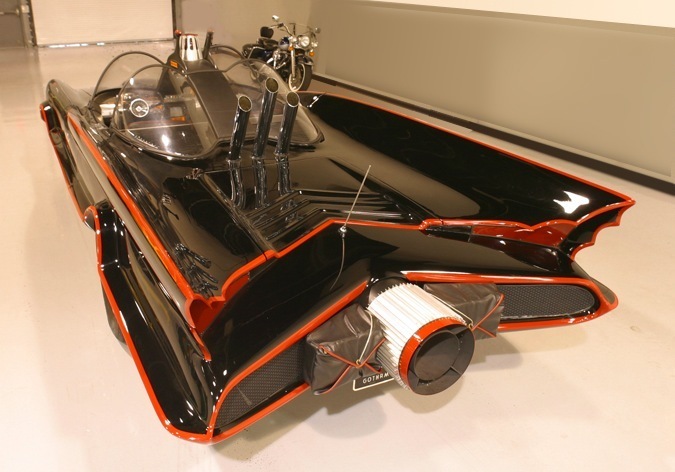 Batman also used the Batcycle, the Batcopter and the Batboat to pursue the villains of Gotham City. 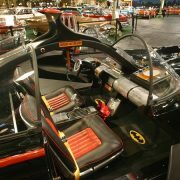 When seatbelts became an important social issue in the 1960s (“Buckle up for safety, buckle up”), BATMAN producer William Dozier inserted scenes of Batman and Robin buckling up their waist safety belts. 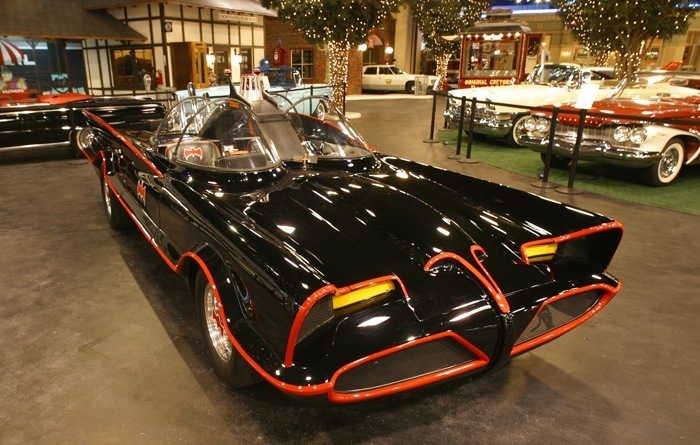 At the time, the Automobile Legal Association reported that Television’s worst drivers was Batman. 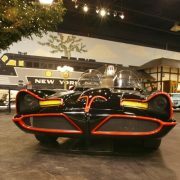 According to their observations of just one program, Batman made U-turns on a busy street, crashed through safety barriers, crossed road-divider markings, and failed to signal on any of his turns. 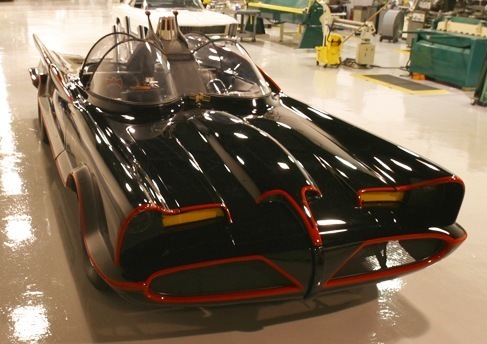 For the movie remake Batman (1989) starring Michael Keaton a new Batmobile was built by special effects supervisor John Evans from a design by production designer Anton Furst. 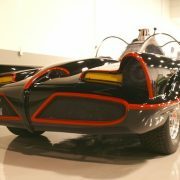 It was about twenty feet long, eight feet wide with a body made of fiberglass. 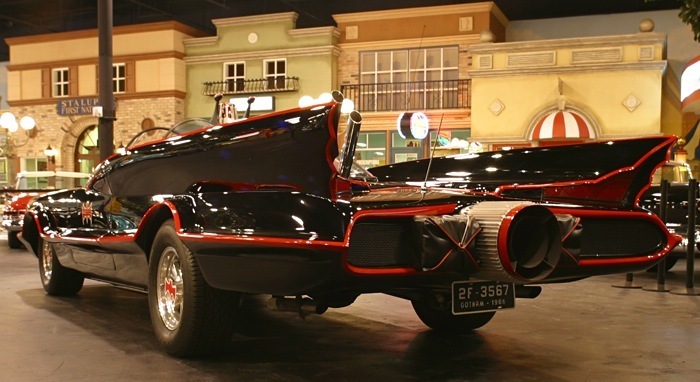 The car featured side-mounted Batmissile launchers, a central hydraulic jack that lifted the car off the ground to enable it to change directions, and compression feature that collapse the width of the car from 60 to 30 inches for alley chases. 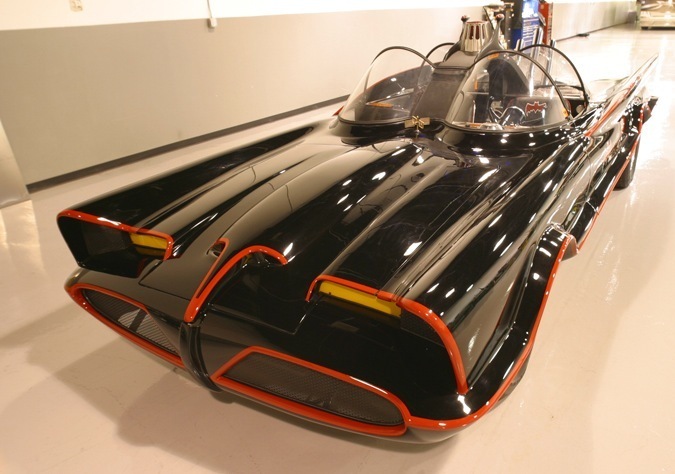 New and improved versions of the Batmobile were introduced in the movies Batman Returns (1992), the animated Batman: Mask of the Phantasm (1993), and Batman Forever (1995). 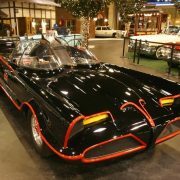 In the 1990s the Batmobile was also featured in the Batman Forever Stunt Show, a 20-minute extravaganza at Six Flags Magic Mountain in California and Six Flags Great Adventure in New Jersey which pitted the Caped Crusader against the Riddler and Two-Face with pyrotechnics, karate fights and motorcycle jumps.